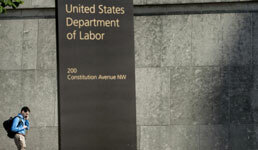 The Department of Labor’s fiduciary rule has been dealt a (close to) final blow, with the Fifth Circuit Court of Appeals denying the last-minute motions from the AARP and three state attorneys general to save the federal body’s best-interest rule, Law360.com writes. Attorneys general from California, Oregon and New York, along with the AARP, intervened just four days before the April 30 deadline that the DOL had to appeal the Fifth Circuit’s earlier decision to vacate the rule. But yesterday the court denied their motions to save the rule, which purports to require retirement account advisors to put clients’ interests first and went into partial effect last summer, Law360.com writes. And because the DOL missed the deadline to request an en banc review, the Fifth Circuit’s decision will stand unless the Labor Department petitions the U.S. Supreme Court, according to the legal news website. Lawyers tell Law360.com that it’s unlikely the DOL will take that route. "My gut is that the rule will be gone — that the department will release some kind of announcement that makes everything clear," Joshua Lichtenstein, a tax and benefits partner at Ropes & Gray, tells the website. The SEC has recently unveiled its proposed Regulation Best Interest, with many critics saying the commission’s version doesn’t go far enough to protect investors, as reported. The same day the Fifth Circuit struck down the motions to save the DOL’s rule, SEC chairman Jay Clayton told an audience in Philadelphia’s Temple University that the commission’s approach is “fundamentally right” and said the SEC plans to allow brokers to earn commissions because it’s cheaper for some investors than paying asset-based fees, according to the Wall Street Journal. But the proposed conduct rules will be stricter on brokers, he said, according to the paper. He also said the SEC’s rules could replace the current state and federal standards, the Journal writes. “There are too many regulatory cooks in the kitchen,” Clayton said, according to the paper. To read the Law360 article cited in this story, click here. Merrill Lynch Accused of Treating Female FAs Like "Second-Class Citizens"